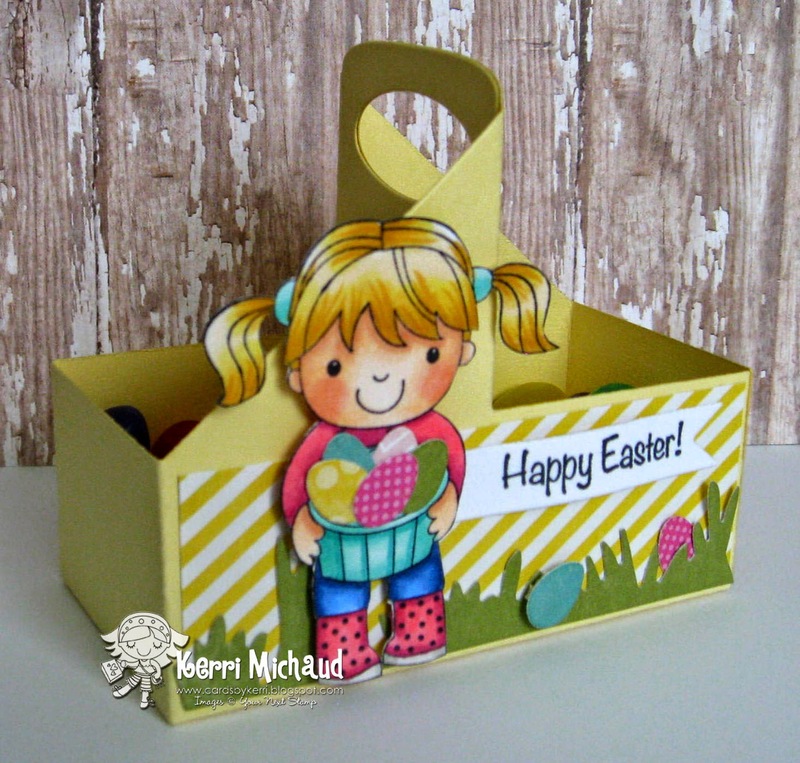 For my project today, I made a fun little Easter treat holder using the Kup Holder Die, along with this adorable image from the Apple Cutie stamp set. I die cut some eggs using a die from the YNS Whatnot Die Set- Easter Goodies and placed them in the basket to cover the apples. I also added some in the grass that I cut with the YNS Flower Fun Spring Grass Die. 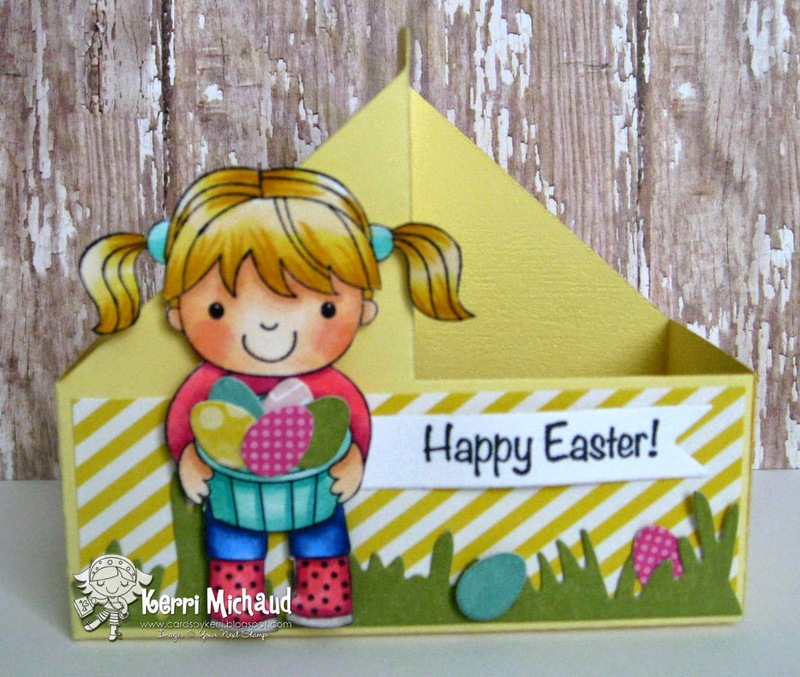 The sentiment is from the Bunny Ellie stamp set and I stamped it onto a YNS Fishtail/Banner Die.